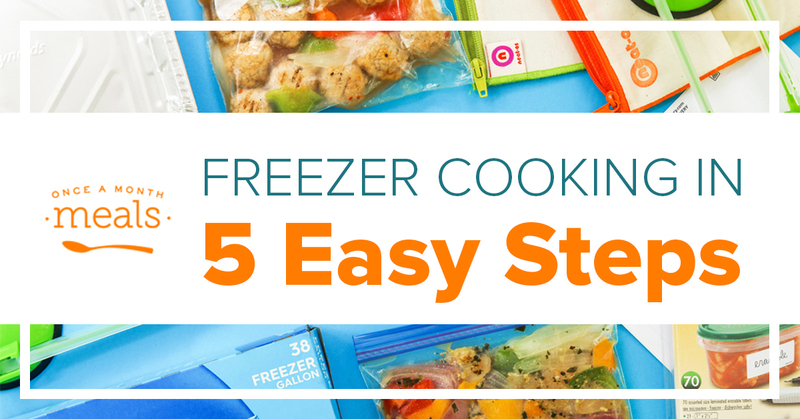 If you just landed here at Once a Month Meals and you want to start freezer cooking, we have five easy steps for you! There is no need to be overwhelmed because we are here to walk you through the process! The links here provide a comprehensive list of all the great posts we have highlighted in our Get Started series. You could spend HOURS alone reading through all of these resources, but you can start freezer cooking quickly by following the basic steps. You will also want to check out our video on the Home page as well as look over the How it Works page for a quick visual of the process. If you decide freezer cooking is for you, then check out the additional resources at the end of this post and dive in! 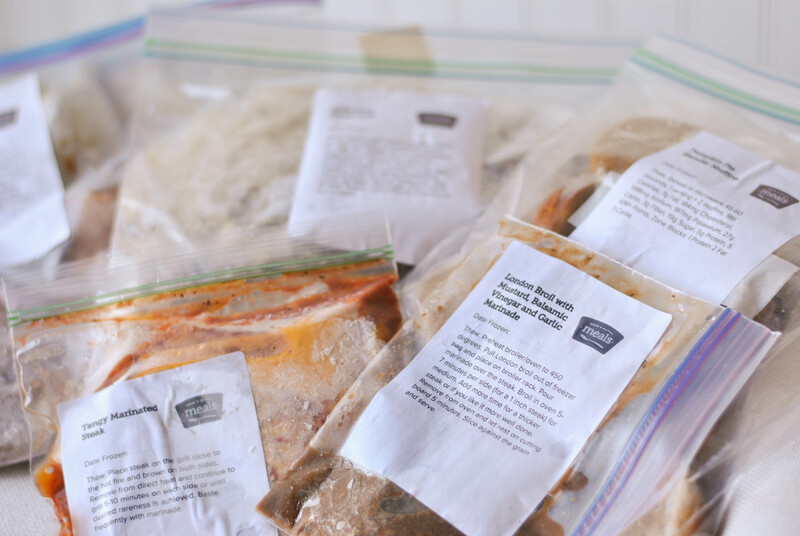 With a membership to Once a Month Meals you get everything you need to make freezer cooking easy. Menus: Access over 150 featured menus – 11 different menu types. Create Your Own: Make your own menus by adding recipes to a custom menu. 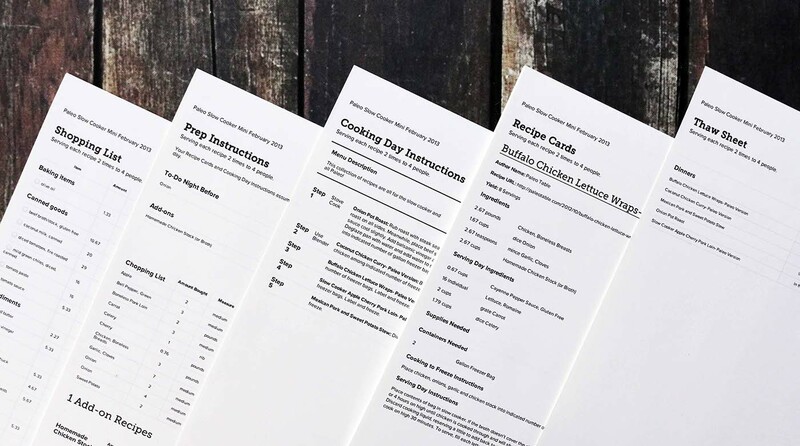 Menu Resources: includes printable grocery lists, step by step instructions, recipes, labels, and thaw sheet – for every menu! Support: Gain support and encouragement from our Members-only Community! Do you eat Paleo and your spouse is Vegetarian? No problem! You can create a menu that is half Paleo/half Vegetarian. Find a giant sale on boneless chicken? Swap out all of the beef recipes on this month’s menu for chicken. You are also able to save up to three menus for future access. Learn more by watching the video on the Home page and reading more details on the How it Works page. 2. Pick the Menu that BEST suits you. Before you start freezer cooking, you have to first decide what exactly you are going to cook! Here’s a list of all of our menu types! We also have this fun infographic to help you decide! With membership, you have access to all our recipes and all our menus! You can customize one of our already curated menus, or create your own from scratch using our blank menu, My Freezer Meal Plan! You’re not locked into any one plan or menu type. You can save 5 customized menus at a time, and there is no limit to how many you can customize in a month. The following documents are provided for each menu – even your custom menus! Enter the number of people you are cooking for in the space for “Servings” and all of the documents will update to show the proper amounts. No math (you’re welcome). The system also doubles each recipe automatically so that you can make the best use of your time in the kitchen. Get thee to a grocery store! 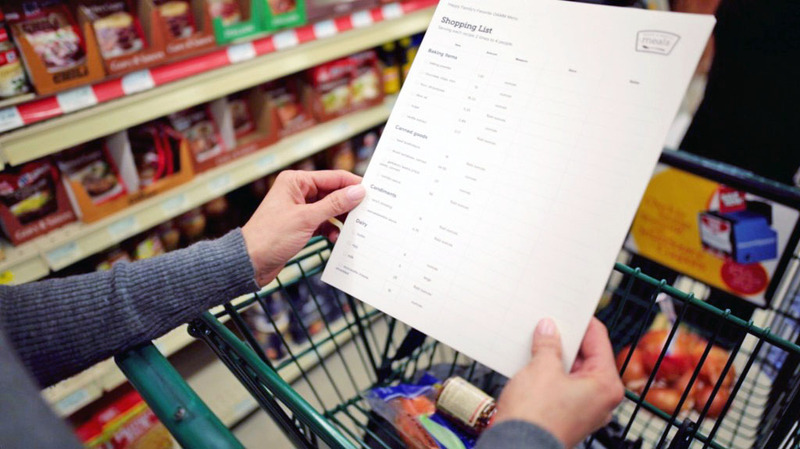 Your organized grocery list will help you stay on task and make sure you are ready to go. Check out the following posts for more information on efficient shopping. This is it! Put on some comfortable shoes, start with a clean kitchen and freezer, and work your way through our step by step instructions for stocking the freezer. If you have more questions about the cooking process, you are likely to find the answer in one of these get started posts. But we also encourage you to visit our Community and engage with other freezer cooks. Or chat with our customer engagement staff LIVE using the orange button in the bottom right hand corner of your screen. Each type of menu and each monthly menu varies in the time it takes to complete. In addition, your efficiency and quickness in preparation, cooking and clean-up is also variable. However, we usually estimate the following as average times needed. *These estimates are based on cooking 12-15 recipes (doubled) for 4 servings( +/-) each. The cost is also variable. Factors for each menu include the region of the country, access to sale goods, availability of local produce, and use of coupons. It also varies by size of a family. For a family of 4 for most of our menus, you can expect to pay somewhere between $150-$300 for all the ingredients for all of the meals. It usually averages between $2.50-$6.00 an entree for 4 servings. See our Support Articles for a breakdown of the different menus and tips on saving money. What does a real live freezer cooking day look like? Don’t think that because you have a small kitchen or a normal freezer that you can’t do this. Freezer cooks have kitchens, families, and lifestyles of all shapes and sizes. Take a look around the kitchens of some of our staff members (past and present) in these posts, but you can also connect with your fellow members in our I Am OAMM series which spotlights cooks just like you! Thanks for putting all of this info in one post! What a great resource! Thank you for putting this all together. I have used tons of recipes and tips from your site but haven’t yet done a big cooking day. I’m totally motivated and much more confident that I can actually pull it off now that I’ve seen all of these getting started posts – and even better now that I can go back here and find links to everything. I appreciate all of the effort that went in to pulling this all together!! So, are you supposed to cook the November menu at the end of November and eat it in December, etc.? Yes, that is correct. Although you can adapt however you would like. Each menu (with the exception of the mini menus) will yield you approximately 6-10 breakfasts, 8 lunches and 16 dinners. Throughout the month you will be eating each entree 2 times. It’s not enough to feed you for EVERY meal during the month, but it should be enough to get you most of the way. We figure you will eat out, eat with friends, or cook a fresh meal on occasion. 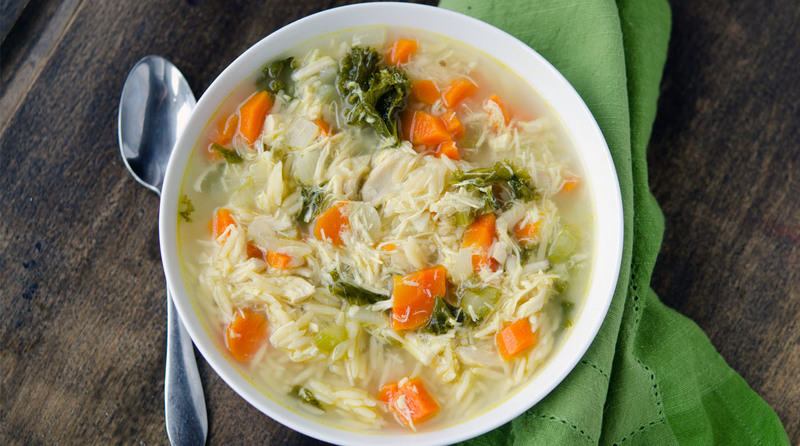 If you are willing to eat the same meals up to 4 times each month (lunches and dinners) you can double the number of people that you are cooking for and you will get the quantities needed for each. You would do this on the yellow box on the recipe cards. Hope that helps!! Thank you! I have been hunting high and low all over the site for that bit of information. I’m wondering how best to deal with produce. Is it best to just buy all the produce in the last week before my big cook day? That is what I typically do unless I know it will keep a little longer (carrots, celery, etc). When I’m using the grocery list, are OZ for liquid products, like milk, listed in fluid ounces? Yes, it is listed in fluid ounces in that case. I love this idea. Is there one posted for January or February 2012 yet? I’m looking at the March menu and wondering if you freeze everything. Can the cuban sandwiches be frozen and be okay later on? I’d think they would be kind of soggy. Sorry, that was for the Diet March menu. WOW I just found your site. I am SO thankful for it. It is wonderful and the hard work you all do is amazing!!!! You do all the hard work now all I have to do is find the time to cook, with 2 toddlers its tough, but everyone knows that. Thank you so much for all of the work yall put into this each month. it is a blessing!!! You are most welcome. And thanks for joining us! Thanks for that response Tricia and I am off to read all of that info. I just thought of something else. Every morning, I have a smoothie for breakfast. The contents are always 1 cup of fruit, 1 scoop of protein poweder, 1/2 cup yogurt, 1/2 cup of milk/low sugar juice and 1 tbls of chia seeds. I do have the fruit in single serving bags but now that you have enlightened me, I am thinking I can freeze the entire thing into single serving packets. Do you think it is okay to mix the powder with the liquids ahead of time? This would be such a time saver. I’m not sure why you couldn’t add it before hand. I might make one or two and freeze them to do a test run before I did a giant batch but I say go for it. In response to Carla who asked about freezing her smoothies, when I cook meals for our family on the weekends, i also cook enough for our disabled friend from church and she likes smoothies. I make one large smoothie every week for her, we freeze it in single serving cups, and they defrost just fine. (I’m not sure how long she waits to drink it after she gets it out of the freezer though.) In our house, they never stick around long enough to freeze. :)P.S. Tricia- I am so glad I found your site. Thank you, thank you, thank you! I’m a mom of a teen, full time graduate student, plus working one day per week, and involved in our church and Girl Scouts, so this is a big help. Is there any way to filter the shopping list for dinners only? Not at this time. However, we do have a work around post for you (http://onceamonthmom.com/get-s… or you could try mini-menus (http://onceamonthmom.com/menus… which are usually just dinners. I am in AWE of all the hard work you ladies put into this! I am just so impressed. I stumbled upon this site through SkinnyTaste a few hours ago and I can’t see how I can live ANY other way! As someone who works 60 or more hours a week, this is just such a blessing, especially since I struggle with my weight and diet choices because of the lack of time and patience. This, coupled with tracking tools and running/horseback riding, I think will finally get me to a place where I can enjoy life and stop making excuses. Thank you so much. Kat we’re so happy you’re here! You are a busy woman! We’re just happy to help you enjoy those moments a little more knowing you have great food at home. I am wondering if you shop to eat for the month ahead (i.e.shop september to eat the meals in October) do you just cook and shop like normal during September while shopping for October? Yes, that is the best method for saving money. Maybe its explained here and I just missed it, but is the cooking really supposed to be done in a single day? And can I pick and choose between menus when my religious fasting (aka vegan-esk menu) occurs either for 1-2 days a week or 15-40 days ever so often?Thanks. For the most part, yes all in one day, but some do it in more than one day. We suggest not shopping on your cooking day. And doing your chopping the night before. And you can pick and choose but you have to do the math yourself if you are interchanging on menus. You could do one main menu and do a vegan mini menu to supplement those days. The cinnamon roll doc has been edited as of this afternoon – it will multiply differently because of the eggs in it so it has a special formula but please go to the cards again and put a 12 in to the current version. Sorry about this and we will put a note on this menu. On your FAQ page, you said that you don’t get access to this months menus, only previous ones…. So it I sign up for a monthly membership now, I don’t get Feb?? Only jan 2013?? Is that correct? Erin, you get access to any menus that come out during your membership being active and all menus previously released. If you signed up today you would have access through 2/28/13 and would therefore get access to all menus that are released in Feb. I just found your site two weeks ago when I was struggling once again to think of something to make for dinner. I love cooking and my husband and I received a deep chest freezer as a wedding gift for all the beef my parents send us from their farm. We have a relatively decent sized apartment kitchen and I have made a few recipes for the freezer but never thought it could be used as a “convienence tool” outside of frozen pizzas. All our food is usually in its raw state.Not anymore! This is such an inspiring website!! I love that you have so many different types of menus. I am so excited to actually make use of my freezer now versus reaching in every few weeks for a pound of ground beef or a chicken breast. I work full time and have fallen prey to the eating out during the weekdays when the days are just too tiring to cook meals. My biggest appreciation is your dedication to making it EASY for people to use. You guys have really thought through everything! I hope to try a mini plan this weekend just to get my feet wet.Thank you thank you!! What a fantastic story Michelle! We appreciate you! Be sure to let us know how the mini goes. I would love for you to have something specific for Dads. My ex husband is always calling me and asking for what to feed our daughter….LOL. but I’d buy him a membership to this if I new it could help. 🙂 Just a thought. Cheers. Tracy, what types of things are you thinking? Our menus are suitable for moms or dads, it just started out being called Once A Month “Mom”. We don’t discriminate though. We do not use a microwave due to growing evidence of the dangers as well as nutrient depletion of the food.I noticed in the getting started video that most of the heating instructions I saw were for microwaves. We are pretty adept at using our toaster oven in place of the microwave but I know there are certain things in the freezer section of the store that are strictly for microwave only.Are your recipes/freezing strategies compatible with non-microwave heating options?Thanks! Jill yes our recipes are very adaptable to oven and toaster oven cooking. The reheat times may just be a little longer, but if you are used to it then it should come very easily! I am just about ready to take the plunge to OAMC, but there is one major thing holding me back. We bought a 1/4 cow in February, so although we have plenty of beef, it is all frozen. Since you can’t thaw and refreeze it, I’m guessing I couldn’t make something like burgers to freeze for later. Do you have any suggestions on how to follow one of the OAMM menus using bulk meat like this that is already frozen? This probably isn’t a huge problem, but I can’t seem to get my head around it! I was specifically looking at one of the older traditional or whole foods menus to give it a try before I jumped into membership. Thanks for such a great resource! Hi Emily! Welcome! Actually you can thaw and refreeze beef if it is thawed properly. See here http://www.fsis.usda.gov/facts… We also have a whole mini menu focused on ground beef coming up here in a few weeks! Do the recipes work for a family of two? I love to eat and to save time and money, but I don’t love cooking. I love the idea of once a month cooking, but I am only cooking for myself and my husband. Also, my husband travels for his job, so he is gone a lot, and we almost never know ahead of time how long he will be gone when he leaves. It is not out of the ordinary for him to be gone for up to a month or two at a time. This makes menu planning and budgeting very confusing. We are always throwing something together at the last second. Any ideas? Hi Roxanne! Yes our recipes work for any number of people. When you become a member our recipe cards and grocery list are customizable to your servings. You simply enter in 2 in the yellow box and the recipes will calculate for you! I have done something similar before but all my frozen meals took over an hour to bake, which added to the hassle of a busy day, instead of cooking, we were all hungry and waiting for it to be done so it was easier to cook every night. How long does it take for these meals to prepare after they’ve been frozen? Help please. I just signed up for the membership and went to the getting started page and it asks me to select a menu type and Paleo isn’t even listed. Hi Shelly, you should be able to access all of the Paleo menus here- http://onceamonthmeals.com/men…. With your membership, you have access to all of the different menus so you don’t have to choose just one. If you continue to have trouble, feel free to email us as info at onceamonthmeals.com and we can help walk you through it! Tessa – I would suggest 4. I always err on the side of it’s better to have leftovers than someone hungry! I noticed some of the measurement are different than I’m used to. Is there a chart to know on some of the amounts? Or is there a secret to knowing how much some of them are? Wendy – At the very bottom of each of our recipes there is a handy conversion chart to help you! Do I pull up recipe cards or individual recipes? Because I’m not seeing the cart. Or am I doing something wrong? Wendy – I am unclear on what you are asking. If you could email your question to info at onceamonthmeals.com we can certainly address any issues you might have. This is my first time joining y’all and I’m super excited. I was wondering if each of these meals (breakfast lunch dinner) are stand alone balanced meals. For example, with breakfast am I supposed to add a glass of OJ or a grapefruit? With lunch should I add chips, carrots? And dinner, add rice, side of veggies? I guess this is even more specifically for the diet menus too. Welcome! Our menus are designed to provide the entree for each meal. Side dishes and drink choices are left to your discretion and in the case of the diet menu will then alter the nutritional information. Let us know if you have any more questions! for prep day… when you cut everything how do you best keep cut stuff… is it expected to cook the same day that you prep? or should it go in fridge in containers? We like to encourage a separate prep day from cooking day. Storing your prepped/chopped/etc items in a cooler or fridge until cooking day is the best way. I have found a relatively large number of broken links throughout this website. 🙁 It’s making things very difficult to find. Unfortunately, we had issues with our site yesterday and had to shut down for a few hours. If you keep finding broken lonks please bring them to our attention so that the team can get those fixed!